This spring season is seeing several superyachts slip out of their build sheds for the first time. 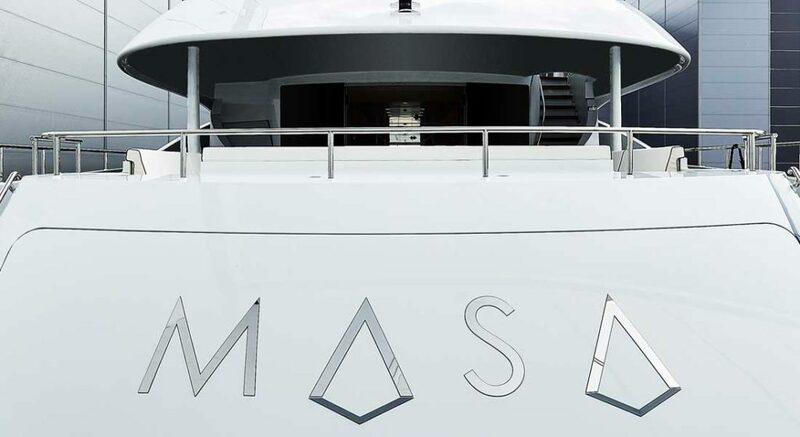 Masa is among them, having celebrated her launch on April 5 at Heesen Yachts. While it was a private event, the owner was on hand to officially christen this eighth member of the Heesen 5000 Aluminium Class series. The 163-foot (49.8-meter) yacht, as the series name states, is an all-aluminum build. That helps to keep weight down for her semi-displacement design. 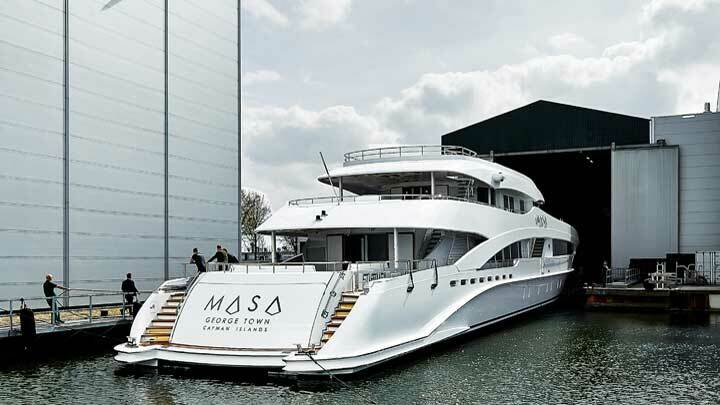 In conjunction with twin MTU 16V 4000 diesel engines, Masa should make plenty of people turn their heads when she starts cruising. It’s because she should see a top speed of 23 knots (at half load). Even at a comparatively slow speed of 11 knots, Masa should be a good performer, too, seeing a range of 3,100 nautical miles. Starting construction under the code name Project Aster, Masa gained a buyer some months ago. The owner chose “masa” because it translates to “diamond” from Arabic. This concept of brilliant beauty matches well with the interior design that the owner selected. In conjunction with Cristiano Gatto Design, he chose silver tones paired with a variety of subdued colors, to create a serene atmosphere. They’re visible from the full-beam owner’s suite on the main deck to the five guest staterooms below decks. Guests invited aboard Masa should especially appreciate the feeling in the saloon. In combination with the aft deck when the doors are open, it’s 269 square feet (25 square meters). Since her navigation mast was not yet aboard at launch, Masa still has a bit to go before delivery. Final fit-out continues at Heesen’s shipyard in Oss, The Netherlands. Handover is set for June. On an interesting side note, Heesen says that the 5000 Aluminium Class series is turning out to be one of its most popular, and therefore successful. Previous deliveries include the likes of VanTom, from 2018.